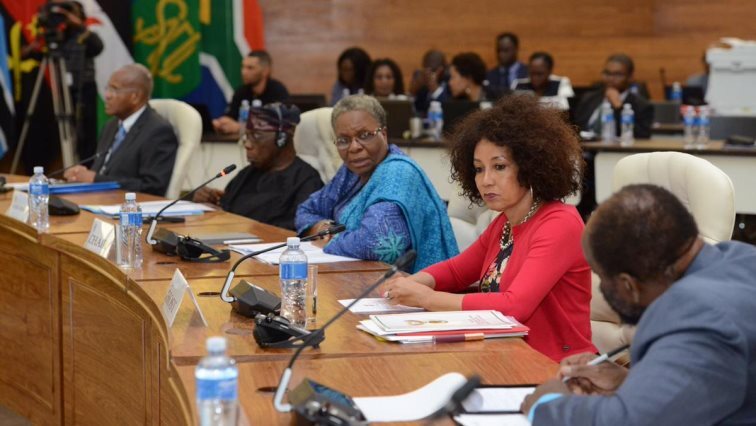 Western Sahara's occupation to come to end: Sisulu - SABC News - Breaking news, special reports, world, business, sport coverage of all South African current events. Africa's news leader. Minister Sisulu said that although political formations have hosted such important Conferences in the past, there is no collection of an inter-governmental body hosting a conference of this nature. International Affairs and Cooperation Minister Lindiwe Sisulu says Africans cannot claim to be living in a post-colonial continent while the people of Saharawi are still fighting for their self-determination. She was at the opening of the SADC Solidarity Conference under way at the DIRCO offices in Pretoria. The two-day meeting called to assist the people of Western Sahara to determine their future is attended by representatives from the SADC regional block and different political parties in the region and civil society organisations. The people of Saharawi have been colonised by Morocco since the early 1970’s. Minister Sisulu says SADC is supporting all the UN efforts to have a free Saharawi. The occupation of Western Sahara by Morocco has to come to end and there should be no country on the continent that continues or perpetuates colonisation. Sisulu said the time had come for the Saharawi people to exercise their rights and attain self-determination. Despite multiple peace initiatives during the early 90’s to the 2000’s, the Western Sahara conflict remains unresolved. It’s now dominated by Polisario Front campaigns to gain self-determination. Now SADC countries have come together in solidarity with the Saharawi people urging support for their plight. Minister Sisulu said the time had come for them to be given what is rightfully theirs. A message endorsed by speaker after speaker amid calls for both parties to work together. Western Sahara Minister of Foreign Affairs said the Saharawi’s would not rest until they achieve self-determination. Meanwhile, ANC chairperson Gwede Mantashe said Morocco’s influence on other member states was possible because it had resources. Most of the delegates believe the solidarity conference will give much needed support to the people of Western Sahara their quest to achieve self-determination. This entry was posted on 25 Mar 2019,09:32PM at 9:32 PM and is filed under Africa, News, Homepage Featured Story Slider. You can follow any responses to this entry through the RSS 2.0 feed. Both comments and pings are currently closed.